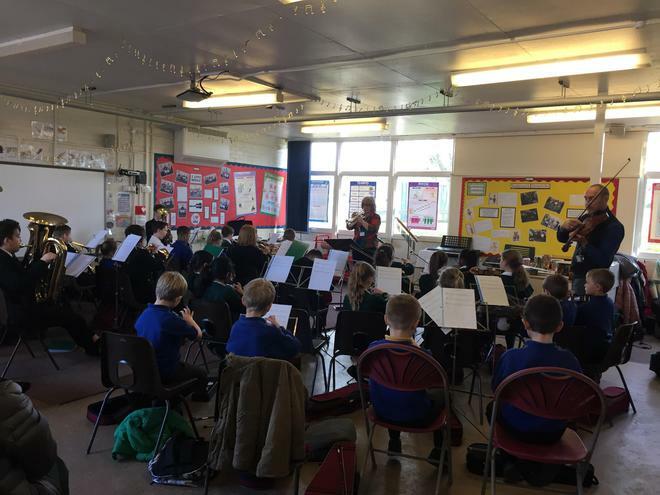 On 7th March we welcomed students from Adeyfield School and Hobletts Manor Junior to join our Project Play musicians for a workshop afternoon. Our studio was full of violins, flutes, clarinets, trumpets and even drums and the sound they made was amazing for such a short time together. Mrs Clarke, Bertie and I went to listen and the very last piece they played had seven tunes and a very scary ending! Thank you to Miss Gent, Mrs O'Brien and the staff from Hertfordshire Music Service for making it possible.